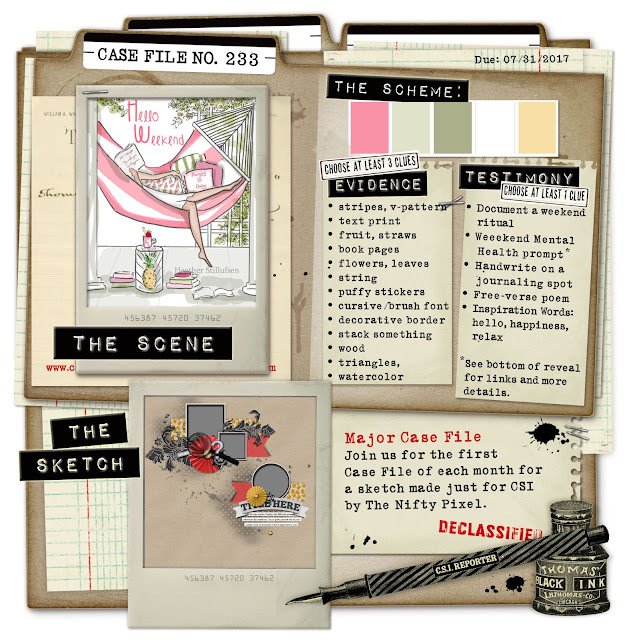 Here's the latest case file. 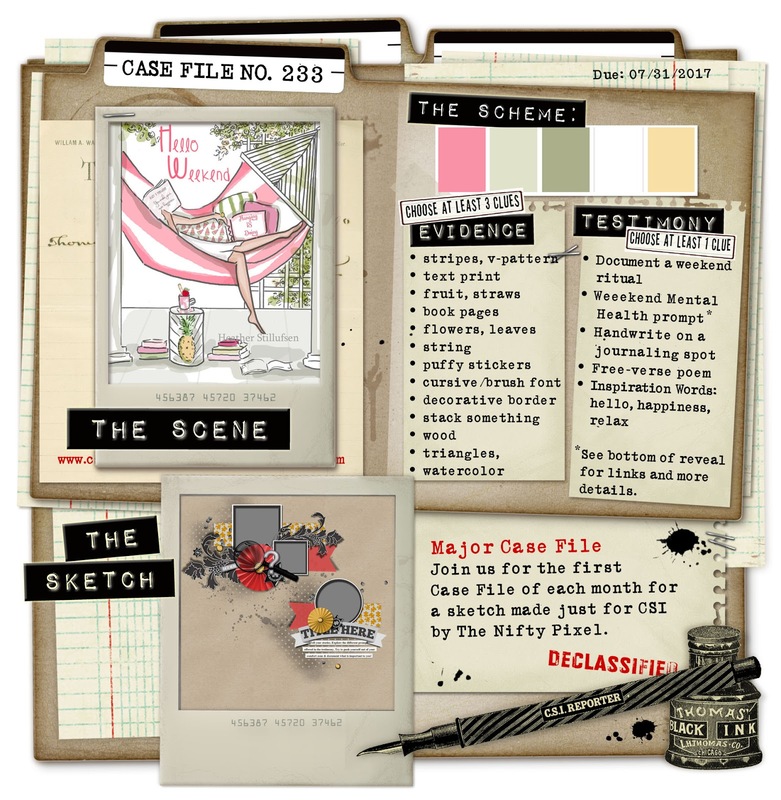 You have until July 31st to solve the case. 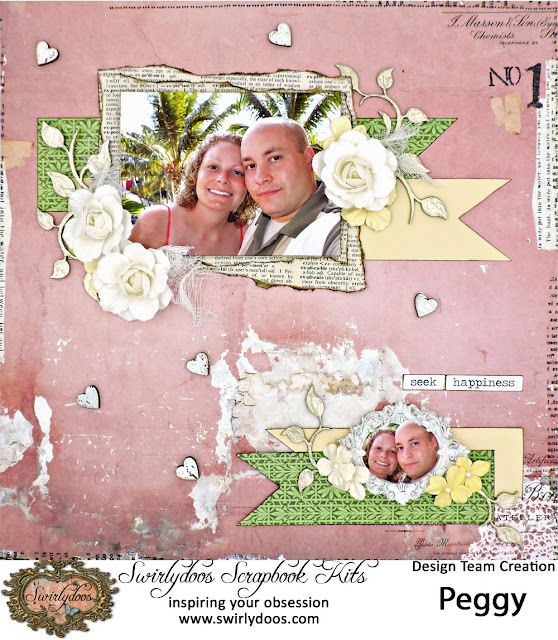 I chose to use a piece of Prima paper from the Swirlydoos October 2016 "Rose Garden" kit as my base; the color and overall pattern makes a perfect base for my layout featuring my son and daughter-in-law on vacation in Aruba some years ago. 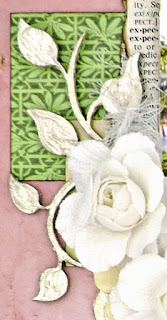 I primed my chipboard vines with gesso before giving them a thick coating of Prima Sparks paint, keeping it somewhat uneven to give it texture. The larger photo was taped to a double thickness of packaging to make it pop off the page and glued to a double layer of a dictionary page that I had torn and inked; this was taped to the banners. The smaller photo was cut down and glued to the resin frame and taped to the banners on the bottom. 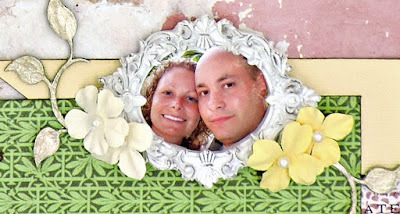 I cut the vines apart, using the larger parts to embellish the large photo and the smaller ones around the resin frame. 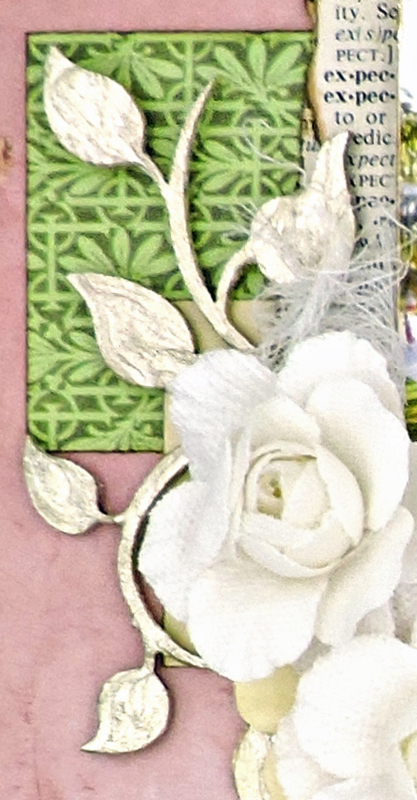 To create the title, I dug out a Tim Holtz word stickers pad and found the words that fit my layout. Before adhering them to the page, I gave them an outline by inking the edges. 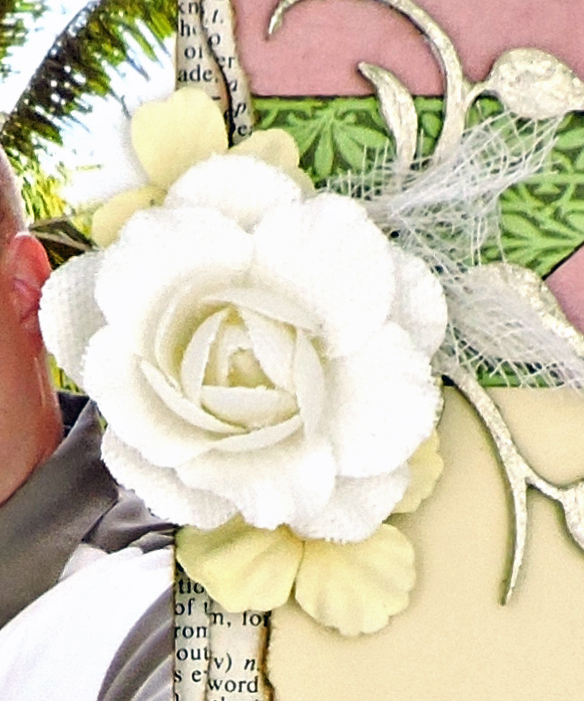 To complete my layout, I embellished the photos with Prima flowers from my stash (with a few bits of cheesecloth tucked in) and scattered the heart icons around the page.